Have you picked up the new Samsung Galaxy Note 8? If so, you realize just how crazy expensive it is at just under $1000. That’s certainly not a phone you want to take abuse. Unfortunately, the abuse our phones take can mostly be in our pockets — putting it in the same pocket with keys, change or any other objects can developer scratches on the Galaxy Note 8’s screen, and sometimes, these objects can even crack it! It’s so important to keep your phone investment protected — if you’re like most people, you bought it on a 24-month contract and need to make it last. We already showed you the best cases available for the phone, and now we’re showing you the best screen protectors so you can keep that dual-edge display in top top shape. Follow along below! 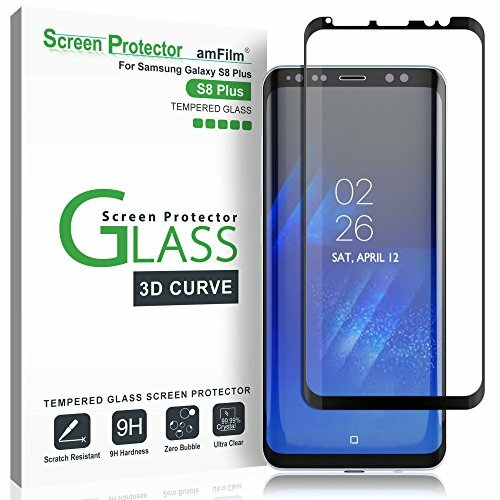 The best protection you can get is with a Tempered Glass Protector, which is just what amFilm is offering for your Samsung Galaxy Note 8. With this glass screen protector, you’ll keep your Galaxy Note 8’s screen in high-definition shape — it’ll keep it free from scratches, scuffs, nicks and even cracks. Peel the screen protector off, and the screen is as if it’s brand new. The protector is designed to feel like the original screen, so it’s super thin and blends onto your phone’s curved edge screen seamlessly. You won’t get any better protection with a screen protector than this tempered glass protector. 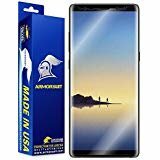 One of the best screen protectors that you can get for the Samsung Galaxy Note 8 is the Armorsuit MilitaryShield. 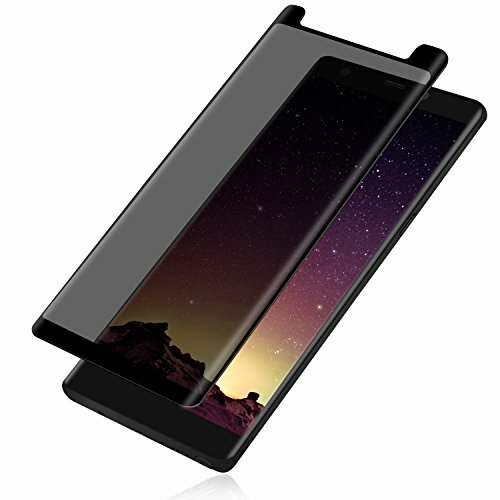 Made with precise laser cutting technology, you get a screen protector that not only covers the main display, but protects the two edges as well. Not only that, but the screen protector is case friendly as well. It has self-healing technology built-in, which helps reduce or eliminate minor scratches that happen on the film. 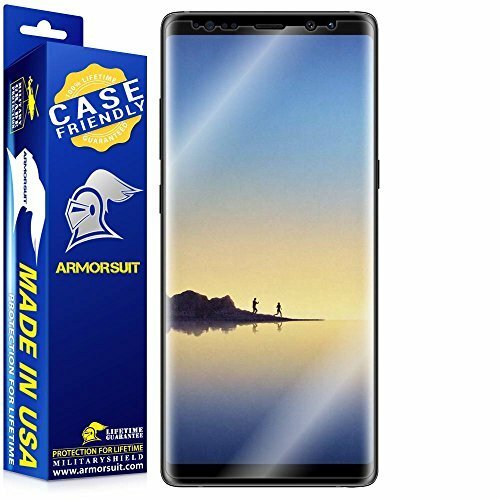 The one thing that consumers will like most is that it’s backed by a lifetime guarantee — break or need a replacement of your screen protector, they’ll ship you a new Armorsuit MilitaryShield right away, free of charge. Next, we have the Sliiq Screen Protector. 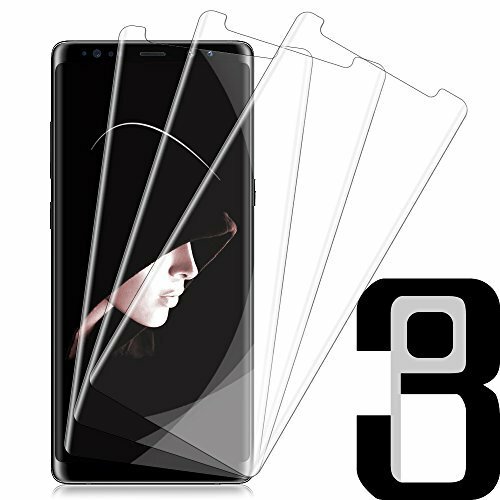 This screen protector setup actually comes in a three-pack, perfect if you accidentally mess up the screen application, or if you need a quick replacement at some point down the road. 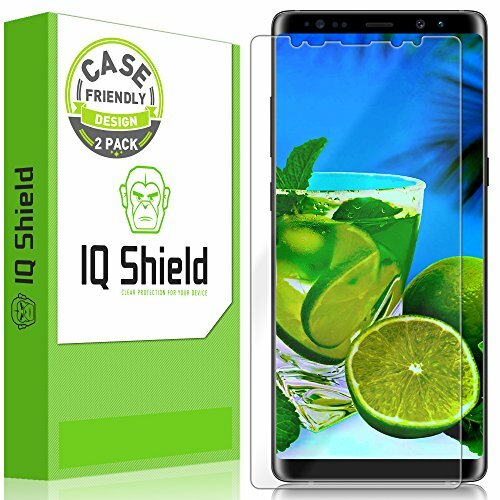 This screen protector will do just fine at keeping your Galaxy Note 8 free from scratches, nicks and even possible cracks. It comes with a handful of materials to make the application go smoothly — such as a wet wipe to get all of the dust, fingerprints and oils so that you get the best possible application. Next up, we have the IQ Shield LiquidSkin. This package comes with two of their screen protectors, as well as their applications materials: an installation tray, spray solution, squeegee and a lint free cloth. By following the instructions and using these products, you should get a crystal clear application. The screen protector itself works excellent. 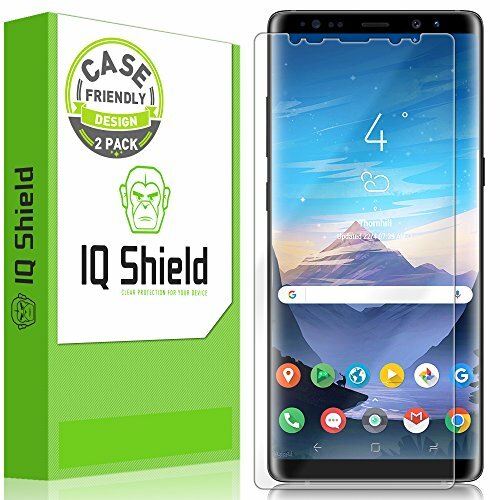 Just like any protector, it’ll keep your device safe from scratches, nicks and cracks; however, the Shield LiquidSkin uses a unique manufacturing process that stops the screen protector from yellowing and even peeling up. This Top Canyon Protector is a tempered glass protector with some neat privacy features — if you don’t want people looking at what you’re doing on your phone while you’re out and about, you need this protector. Not only will it keep your screen free of scratches, nicks and cracks, but it also ensures that the phone is only visible to the person looking directly at it — folks won’t be able to peer in from an angle to see what you’re doing. Even though it has that tint to stop folks from looking in, it’s ultra clear to the person looking directly at it. So, which screen protector should you then get? We recommend going for the highest quality one — the tempered glass screen protector by amFilm. You won’t get any better protection than a glass screen protector. In my own personal application, they have saved me time and time again from cracking a very expensive screen. You might also want to consider the privacy version of the screen protector if you’re worried about folks peering into what you’re doing.